In less than two years LockInChina has become a successful Chinese employment service. AUT MBA alumnus Gary Wang is the man behind the success. Gary founded the company in 2015, committed to providing career development support for Chinese who are returning to China after some time overseas and are looking for career opportunities in the competitive Chinese job market. In the 18 months since its inception, LockInChina has worked with over 200,000 job seekers, and 10,000 Chinese businesses are now registered with the company. As company founder, Gary is involved in all aspects of the business, from product and financial strategy to business model design. Gary started his career as a program engineer in New Zealand, however when he realised that working with people was one of his greatest strengths, he decided to return to study. After a friend recommended AUT, Gary moved to Auckland to start his MBA. There were many highlights throughout his studies, including the close friends he made. Choosing to work full-time while studying was an easy decision for Gary. Working as a user support specialist at Buzz Channel in Auckland quickly improved his language skills, as well as giving him first-hand experience of the business models he was studying in his MBA. 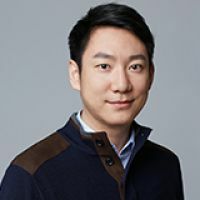 After completing his MBA in 2010, Gary returned to China and started working for zhaopin.com, the largest career website in China. As a product manager, he was in charge of the product line, with annual sales of more than RMB 50 million in 2015 alone. However, he was soon ready for the next step – starting his own successful business. “The anxiety of running my own business is always at the back of my mind, but then when the company achieves a goal, I’m overwhelmed by a sense of satisfaction, and that makes it worth it.